Product prices and availability are accurate as of 2019-04-15 00:53:43 UTC and are subject to change. Any price and availability information displayed on http://www.amazon.com/ at the time of purchase will apply to the purchase of this product. 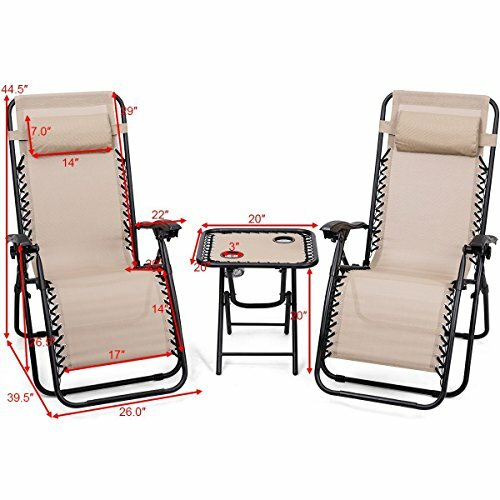 This is our brand new zerogravity chairs table set which include two zero gravity lounge chairs and one portable folding table.Be made of steel construction and all-weather fade resistant textilene fabric ,these chairs include a headrest pillow are designed with comfort and durabilityin mind . 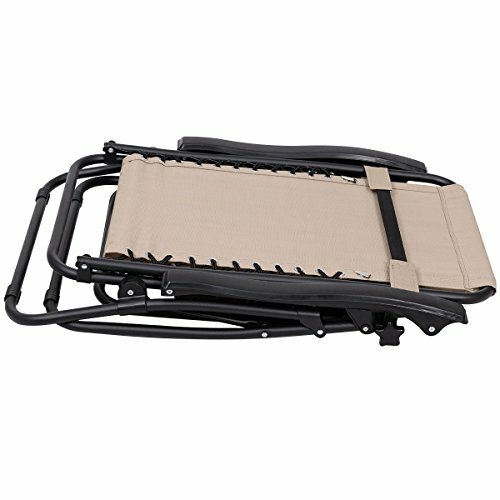 You can adjust the back to fits your body and give youthe best comfort for its incline and adjustable back. The portable folding tablewith 2 cup holders ,you can enjoy the tea when you lie on the lounge chair ,itis a best choice to your backyard, patio, campsite, cabin or beach house. Don'thesitate to buy one ! ?All Weather Resistant Textilene Fabric?Textilene is more breathable and ventilated compared to other material, is one of the best outdoor furniture set materials. The material is soft and comfortable to sit on it. It can withstand all weather torture without fade or get damaged. 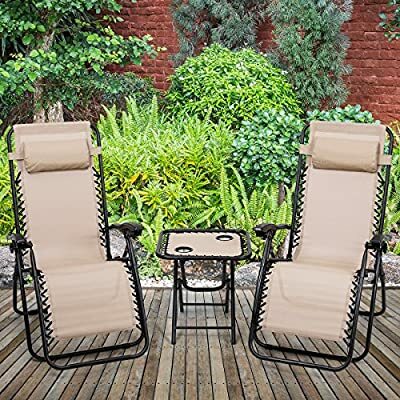 It is the best patio lounge chair set for you. ?Thoughtful Padded Headrest?The chair is ergonomically designed with an adjustable headrest, it also can be used as a lumbar support to relieve pressure for you. 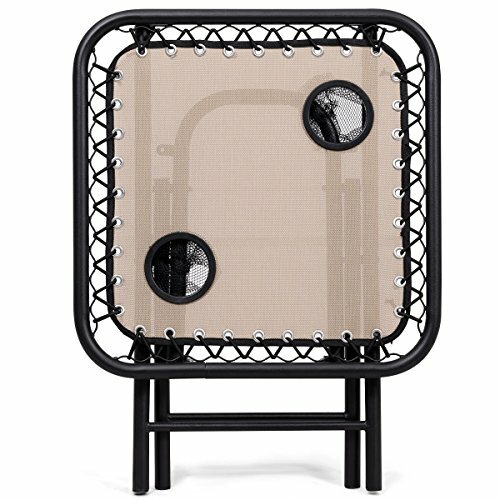 ?Sturdy and Stable Steel Frame?The chair is made of solid and reinforced steel. 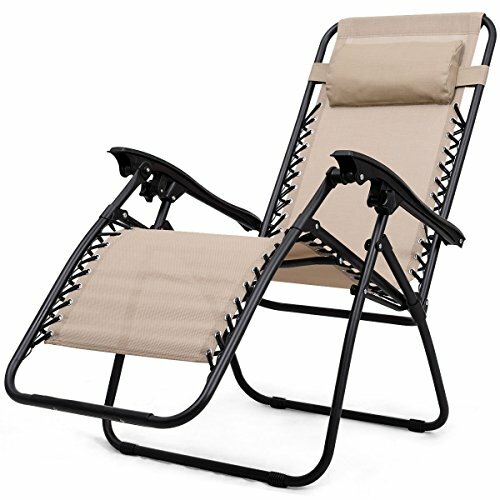 It has strong weight capacity and with anti-rust coating, the chair can lasts for a long time use. 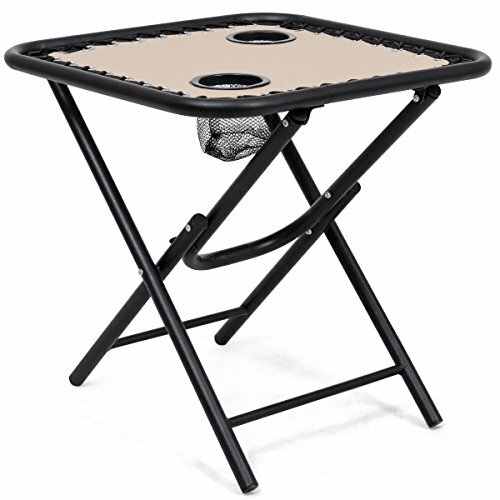 ?Considerate Cup Holders in Table?Two cup holders in table are designed for convenient use without tipping or falling when your cups are placed on table. ?Zero Gravity And Locking System?The chair back can be adjusted to a zero gravity angle and you can lock the chair in any position. You will enjoy sitting on this chair.